Ross Katz is an experienced attorney who concentrates his practice on commercial, probate, fiduciary and general litigation. 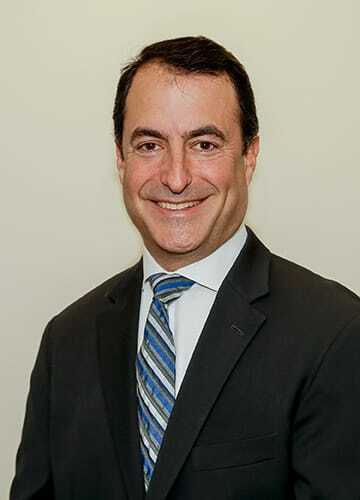 Throughout his career, Ross has prosecuted and defended clients in a wide variety of matters, including will contests, trustee removal proceedings, contested accounting proceedings, contract matters, real property disputes and personal liability cases. He has significant experience arguing matters before both the trial and appellate courts. In addition to his litigation practice, Ross represents and advises clients in asset purchase agreement transactions as well as the purchase and sale of real estate. Prior to entering private practice, Ross served as the law clerk for Honorable John D’Amico of the Superior Court in Freehold, New Jersey. Ross graduated with his B.A. from Lafayette College in 1993, and Boston University School of Law with his J.D. in 1996. Issues of Liability for Estate Planners in a Post-“Schneider” World, New York Law Journal, September 9, 2015. A Wrinkle on 3-2 Discovery Rule in Surrogate’s Practice, New York Law Journal, February 19, 2015. Requisite Mental Capacity for Executing an Intervivos Trust, New York Law Journal, September 10, 2013. Imprudent Conduct Could Result in Denied Commissions, New York Law Journal, January 28, 2013. Look What Passes as a Valid Will Across the Hudson River, New York Law Journal, October 10, 2012. To Notify or Not to Notify: Temporary Injunctive Relief in Surrogate’s Court, New York Law Journal, June 8, 2012. Should Trusts and Estates Practitioners Stress Over Duress as a Ground for Invalidating a Will?, NYSBA Trusts and Estates Law Section Newsletter, Spring 2012. Nature and Extent of Initial SCPA 1404 Discovery Demands and the Discovery of Tax Returns and other Confidential Information, NYC Bar, May 17, 2018 (sole author).